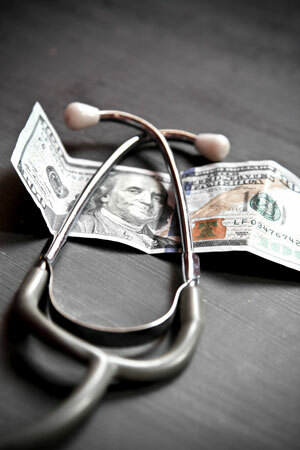 Many people do research about bankruptcy prior to seeking out the services of a lawyer. They get on their computer and search for bankruptcy topics such as dischargeable debts, chapter 7 vs. chapter 13, or asset exemptions. Another area that is frequently researched, but is often misunderstood is the Means Test. The Means Test was developed as part of the bankruptcy overhaul of 2005, and was included in the bankruptcy process to limit those individuals who could technically pay back their debts over time from simply getting the immediate benefit of a chapter 7 discharge. Essentially, the Means Test determines the monthly amount of income an individual can earn each month (as calculated over a 6 month average) and still qualify for a chapter 7 discharge. That monthly average is then expanded into a yearly average. The income limits are based on tables and vary state to state. The Washington Means Test table can be found here. But even if an individual has a yearly gross income that exceeds the tables provided by the US Department of Justice, that only creates a “presumption of abuse.” Meaning, there could be abuse in the filing, but an abuse that can be rebutted. Some individuals may technically not qualify based on the Means Test income tables, but due to their current, and forward looking, situation, could defeat the presumption of abuse and remain in chapter 7. This is yet another reason why it helps to consult with a professional when it comes to bankruptcy. Don’t write off the possibility of a simple chapter 7 discharge just because you might make too much money. 1) You have to be broke to file bankruptcy. FALSE. This type of thinking about bankruptcy leads people to be broke going into bankruptcy, and broke coming out of bankruptcy. The best way to approach bankruptcy is to file before you get to a point that it is your only option and before liquidating all of your assets, like savings accounts, retirement accounts, or physical assets like your home or car. The state of Washington, and certain federal exemptions, allow you to keep assets up to a certain value. In the case of retirement accounts, there is almost no cap on the amount you can keep and still file bankruptcy. 2) You can modify your home loan in bankruptcy. FALSE. Many homeowners have been lead to believe (mostly at the guidance of fly-by-night home loan modification companies) that they can seek a modification of their home loan in the bankruptcy court. This cannot be done. In fact, lenders must get relief from the bankruptcy court and remove the home from the bankruptcy estate in order to proceed with any type of permanent modification. If you’re going to pursue a modification, pre-bankruptcy, set your mortgage payment aside in an separate account. If the modification falls through, you’re going to need that money to bring your mortgage current in the bankruptcy setting. 3) Filing bankruptcy harms your credit score. FALSE. Filing bankruptcy is actually the quickest, most effective way to improve your credit score. Your credit score is calculated based on your debt to income ratio. In bankruptcy, you discharge your debts. As long as your income remains the same, you now have a much better debt to income ratio, which increases your score. You can estimate a 60-100 point increase, if your score is in the high 500’s to low 600’s, within the first 6 months after filing. Traditionally, debtors have had the opportunity to remove or “strip” a second mortgage from their home or rental property through a chapter 13 bankruptcy petition and plan. Debtors may strip their second mortgages from their home if they can demonstrate that there is no equity beyond the first mortgage that the second mortgage to attach to. If the Debtor can prove that the second mortgage is completely unsecured, it can be removed, provided the Debtor is able to complete their chapter 13 plan obligations – i.e. : make their proposed plan payment for each of the 36 or 60 months required under their chapter 13 plan. Debtors may also strip a second mortgage from their property by means of a “Chapter 20 Bankruptcy,” which is a chapter 7 and chapter 13 together. A chapter 20 bankruptcy is accomplished when a Debtor files a chapter 7 bankruptcy petition and receives a discharge of their debt, then files a subsequent chapter 13 petition and plan. The chapter 13 plan is often only made up of secured creditor debts (car payments, mortgages, etc.) and any arrearages on secured debts, most of the time a mortgage. The chapter 13 allows the debtor the opportunity to receive protection from the bankruptcy court while bringing their mortgage current. Protection can be needed if the debtor is facing foreclosure or garnishment of their wages or bank account. The only hurdle to a successful outcome in a chapter 20 bankruptcy is the timing upon which the chapter 13 is filed after the chapter 7. Debtors filing a chapter 13 petition may only receive a discharge of their debt if their chapter 13 petition is filed more than four years after the filing of their chapter 7 petition was filed. Many courts in the past have found that the lien stripping action in the subsequent chapter 13 must be contingent upon the issuance of a discharge in the debtor’s chapter 13. So, by deductive reasoning, it would be safe to conclude that if a Debtor who files a chapter 13 petition within four years of their chapter 7 petition, they could not strip the second mortgage from their home due to the fact that they cannot receive a discharge. This a potentially ground-breaking ruling, with beneficial consequences for those debtors that have received a chapter 7 discharge within the last four years. If you have a second mortgage that has no equity beyond the first mortgage, you may be able to strip that lien in a chapter 13 bankruptcy. If this is you, it’s time to talk with a bankruptcy attorney right away. There are signs that the housing industry might be picking up. The stock market is at an all-time high. Yet, there are a lot of small businesses that are experiencing tough times. Sales are down or almost nonexistent. This Newsletter is dedicated to those that are fortunate enough to take advantage of the bankruptcy laws to save their businesses and get a fresh start. There is something worse than bankruptcy – not being able to afford it. This newsletter is especially dedicated those that are in that very difficult situation. 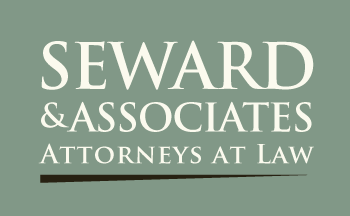 Richard Seward is a contributing author to this blog and has been admitted to practice law in the state of Washington. He practices in the fields of bankruptcy, business start-ups, and estate planning. How filing bankruptcy can improve your credit score. The world of bankruptcy is often misunderstood. The vast majority of Americans have a negative perception of the concept, and even cringe or recoil when they hear the word. Many feel that they have some type of duty to fully repay their creditors at all costs, even when facing a severe financial hardship. Debtors in this type of dire situation must put their own needs before that of the creditor and consider all possible options. Often a Chapter 13 bankruptcy is a viable, noble and effective option. A Chapter 13 bankruptcy petition is often referred to as a wage-earner’s plan, as it is only available to individuals who are currently earning an income and can show an ability to repay most of their debts in a three or five year plan. Individuals who qualify must have less than $360,475.00 in unsecured debt (debts like credit cards and medical bills) and less than $1,081,400.00 in secured debt (debts like a mortgage or car payment). Secured debts are those debts that if you default, the creditor can take a piece of tangible property from you in repayment of the debt. Debtors who have not discharged debt in a Chapter 13 bankruptcy within the last two years, or in a Chapter 7 bankruptcy within the last four years, are eligible for a Chapter 13 discharge. A debtor may still file a Chapter 13 if they previously filed in the past four years and received a discharge, but they will NOT get a discharge on the current Chapter 13. How does the Chapter 13 proceed? First, the debtor and his attorney meet to prepare the petition. The petition must include all debts, obligations, and creditors of the debtor. Prior to filing, the debtor must take a credit counseling course, which is offered online. Once the petition is filed and all filing fees are paid, a bankruptcy judge reviews the petition. If the petition is approved, the debtor will make his first payment to the trustee within the first 30 days of filing. The trustee then distributes that payment to all of the creditors of the debtor, in a proportional manner. Secured creditors are paid first, and then all unsecured creditors are paid in proportion to their individual claim. This type of payment plan is kept in place for three or five years, or until the debtor decides to withdraw the petition. If the plan is completed, a discharge order will be granted to the debtor. So what can a Chapter 13 do for a debtor? Stop a home foreclosure. If facing a foreclosure on a home and the debtor files a Chapter 13 petition, the foreclosure is immediately stopped. The foreclosure cannot proceed because an automatic stay is created by the filing of the petition, which attaches to all assets of the debtor. Proceeding with the foreclosure would be in direct violation of the automatic stay. Stop harassing creditor calls. Once the petition is filed, all creditors are given notice of the bankruptcy filing and the automatic stay that has been put in place. Creditors must halt all collection activities after the automatic stay is in place or seek relief from the stay order from the bankruptcy court. Failure to do so would be a violation of the Fair Debt Collection Practices Act. Remove a wage garnishment. As part of the automatic stay, all collection actions, including wage garnishments, are stopped once the Chapter 13 plan is put into place. Eliminate credit card debt, or other unsecured debt. If a debtor is earning a living wage but has unsecured debts that are no longer manageable, a Chapter 13 petition would allow the debtor to consolidate all debts into one single payment. Any amount of unsecured debt that is in excess of the approved plan payments is discharged. Discharge a second mortgage. If a debtor has a second mortgage on his home, and the value of the home is less than the debt owed on his first mortgage, then the second mortgage is treated as unsecured. As an unsecured debt, the second mortgage holder will only receive a fraction of what was originally owed, or perhaps nothing at all. Keep your assets. The most beneficial aspect of a Chapter 13 is that the debtor gets to keep all assets and reorganize all debts. It is a chance to get caught up on all past debts without going through the heartache of a Chapter 7 liquidation. Rebuild your credit. Sure, the debtor’s credit score will take a hit after filing bankruptcy, but as the debtor makes consistent plan payments to the trustee throughout the life of the plan, his score will rise over time. Catch up on the mortgage payments. If a debtor has fallen behind on a number of mortgage payments, those mortgage arrears can be factored into the plan payments and spread out over the course of three or five years. Have a driver’s license reinstated if suspended for too many traffic tickets. Chapter 13 provides a repayment plan for traffic tickets and court fines that are keeping a debtor’s drivers license suspended. After filing the petition, a debtor can take that documentation to a Washington State Department of Licensing office and have his license immediately reinstated. A Washington Chapter 13 bankruptcy can be a very powerful tool for consolidating debts into one affordable monthly payment while discharging unsecured debts such as credit card bills, medical bills, personal loans, lawsuits, judgments, and almost all other debts not secured by collateral. But, Chapter 13 bankruptcies are tough. The petition is often difficult to draft, and is a tedious process to work through. It is not advised that a debtor attempt to draft and file a petition on his own. It is worth the time and money to consult with a lawyer who has experience dealing with Chapter 13 and the bankruptcy courts. Stop fighting a losing battle with debt and seek help. The bankruptcy courts were established to give debtors a way out and way to start their life again. It is time to utilize that option. 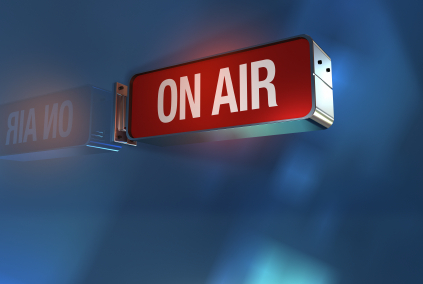 Attorneys on a mission – Richard Seward and James Dickmeyer tell Seattle’s top talk radio host Dr. Pat Baccili about what to do if you’ve lost your home and your job. Listen to them address the emotional toll of financial debt, the most common debt mistakes people make and the importance of finding experts to help.